The released Panama data comes in the form of a Neo4J database, or the files that you can make one with, seems to me a little tricky to do much with. 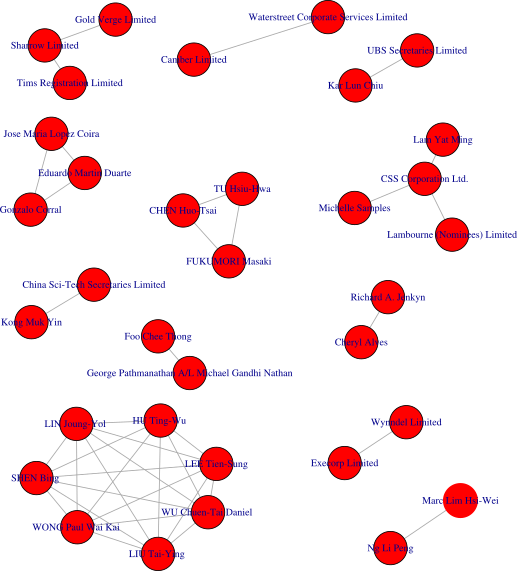 There is no detail beyond attributes of the different entities, so that limits us to looking at the relationships alone and it is hard to judge the significance of the relationships without the context… that said its a fun data set to play with. Officers connected to other Officers via anything else. This entry was posted in Neo4J, Networks, Panama Papers, Politics. Bookmark the permalink.